Hubble® is a new private label contact lens brand that was recently launched in North America. Although the marketing method employed by Hubble is new the product itself is made of an older generation material produced in a daily disposable modality. Just to be clear, older materials are safe and have been valuable in allowing contact lens companies to grow their business by delivering good quality vision correction options. However unlike other contact lens brands sold using traditional distribution services on a need-to basis, Hubble® offers a monthly subscription service to its customers. This service is in fact a monthly subscription fee structured to ensure continued supply to the customer at an alleged lower price than the competition. Of course if one does the arithmetic one may discover that some of the well established brands offer pricing that is lower than Hubble®. At the time of the writing of this article the Hubble® lenses were only offered in an 8.6 base curve and a 14.2 diameter in spherical lenses. 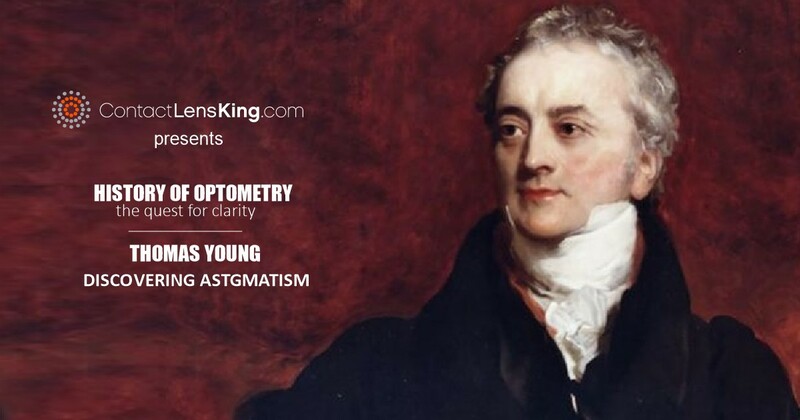 In simple terms the offering is strictly pointed to vision correction for myopia (nearsightedness) or hyperopia (farsightedness). Although this product does achieve its intended design objective of proper vision correction, the fundamental shortcomings that relate to the older material used for manufacturing leaves the lenses at a disadvantage in terms of the physiological effects on the eye tissues. To clarify the matter it would be useful to compare Hubble® lenses to more notable products such as Acuvue® Oasys 1-Day contact lenses for example. Hubble® contact lenses are manufactured using a material called Methafilcon A. 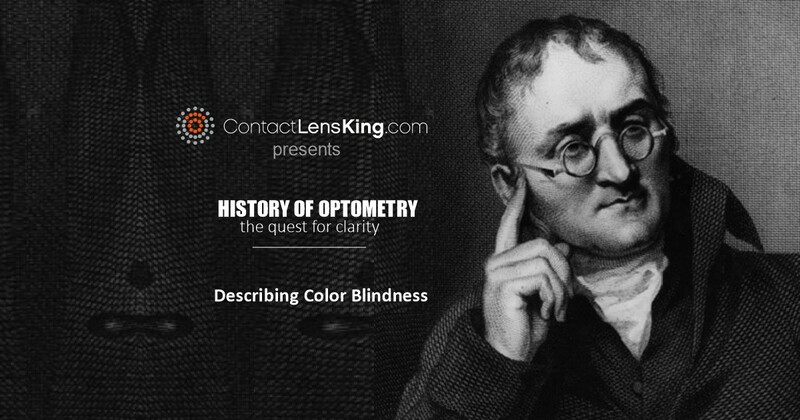 According to Contact Lens King this material belongs to a category of lens materials referred to as HEMA Group 4. 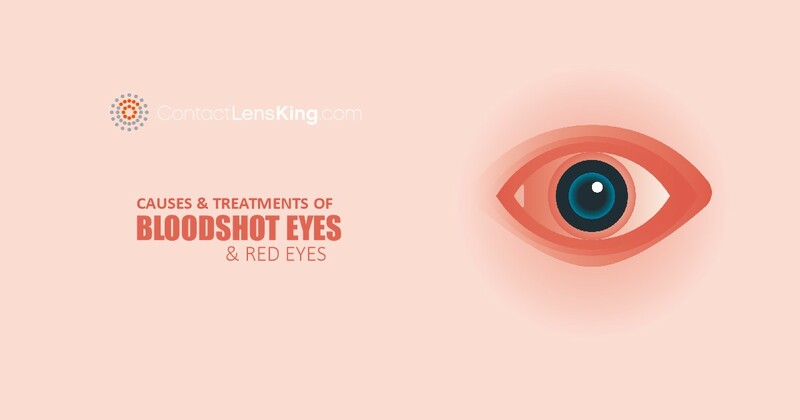 This specific group encompasses several types of lens materials. Their overall oxygen transmissibility (or their ability to feed oxygen to the cornea) ranges between 15-28Dk. In fact Contact Lens Spectrum lists Methafilcon A at 18Dk (measured at -3.00 diopters). This specific property is important because it measures the amount of oxygen that reaches the cornea and its surrounding tissue. So the higher the number, the higher the oxygen levels at the corneal tissue level. According to Contact Lens King's website, Acuvue Oasys® 1-Day is manufactured using Senofilicon A (a 62% polymer), a silicon hydrogel material. This is a new combination type material that combines the extremely transmissible properties of silicone with a water loving material for extra comfort. The water content for this product is measured at 38% and according to AcuvueProfessional.com it has a Dk value of 121. Acuvue has also integrated its UV blocking technology to better protect the wearer's eyes from harmful rays. As you can see the Acuvue Oasys® 1-Day delivers significantly higher oxygen to the cornea. Material Advantages: The main benefits of wearing Hubble® contact lenses is that they are manufactured using an older but proven material that has been around for decades. That combination allows for the company to offer its lenses at a very competitive price as compared to other premium products on the market. 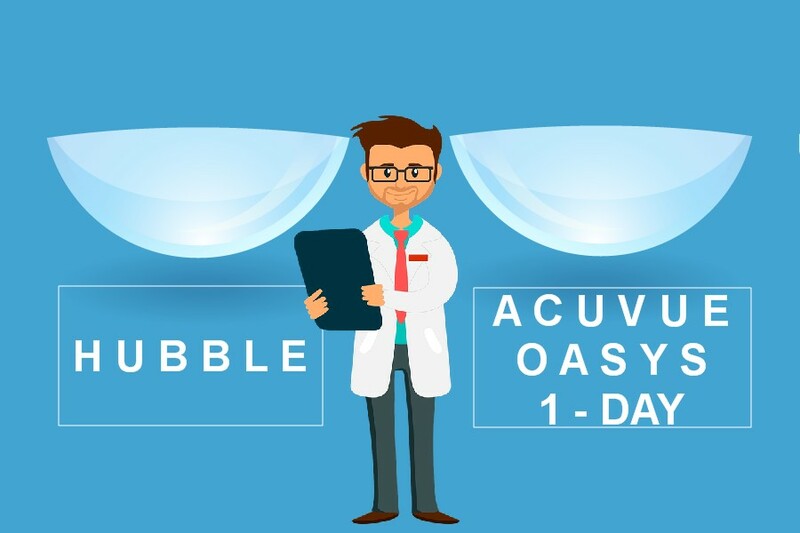 Acuvue Oasys® 1-Day is manufactured using a new generation material that delivers very high oxygen to the cornea, actually six times higher than Hubble® contacts. This higher transmission guarantees significantly higher oxygenation levels to the corneal tissues, allows for more comfortable and an overall healthier experience for the wearer's eyes. As an added benefit, this lens also provides a patented UV blocking technology that helps protect the eyes from harmful ultraviolet rays. Material Disadvantages:Hubble® contact lenses are manufactured using an older generation material which meets acceptable oxygen requirements of the cornea but does not provide the additional transmissibility that delivers consistent end-of-day comfort. 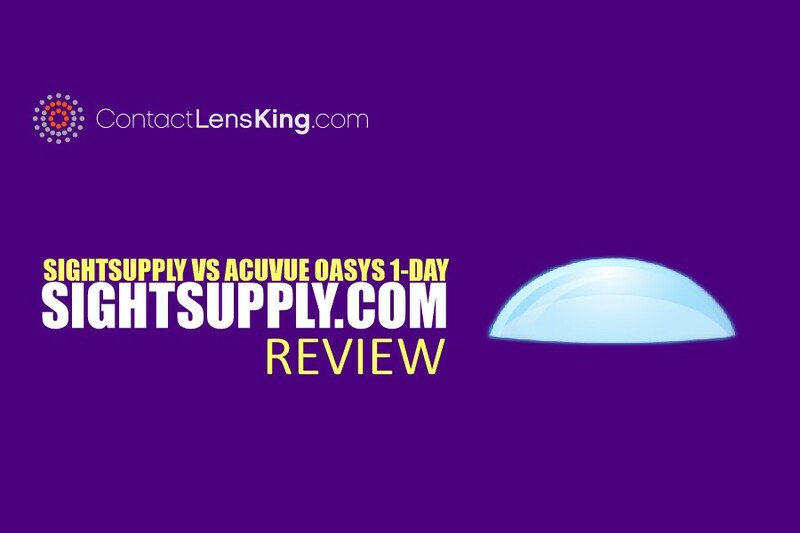 Acuvue Oasys® 1-Day contact lenses belong to the premium category of lenses called SiHy lenses. This category not only ensures higher oxygen transmission to the eye tissues but also comes with a variety of surface treatments that guarantee comfort, wettability and enjoyable wear throughout the day. However, because this product uses newer technology the Acuvue Oasys® 1-Day is priced higher than Hubble® contact lenses. Hubble® contact lenses may provide a convenient way to save you money with their low priced monthly fee model and delivery to your door. However, when it comes to promoting overall eye health, comfort and safety the Acuvue Oasys® 1-Day brand appears to come out ahead.